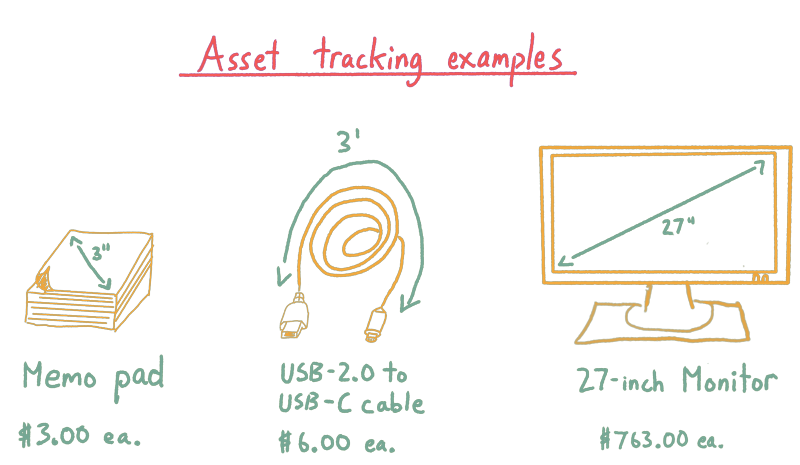 Most inFlow articles are about inventory management, but we also wanted to take a moment to discuss asset tracking. If you haven’t heard of asset tracking before, think of it as monitoring the equipment and supplies you use to run your business. Most businesses keep the invoices computers, supplies and software, but that only accounts for the financial investment in your assets. You’re missing a big part of the picture if you aren’t recording how your assets are being deployed. So in this article we’ll talk about tracking your assets and provide examples of how we do it here at inFlow HQ. Your business invested time and money into choosing and purchasing equipment. If you think about your equipment as an investment, you’ll start to ask questions about it: how much did you spend on it? How often do you repair or replace it? This advice sounds obvious for larger purchases like computers or specialized machinery. If you buy a $2000 laptop or an $8000 metal press, you’re definitely going to want to know where it is. But it also matters for the smaller everyday items like pens, paper, and cables. There are a lot of little things required to operate a business, and it’s easy for money to fall through the cracks. This isn’t because your employees don’t care, but rather that they have their hands full with other things. Asset tracking doesn’t mean you have to track every single pen, but rather how often you buy boxes of pens. For example, if you buy ten boxes of pens every three weeks for an office of 20 people, that’s waste that you can reduce. Good asset tracking will help you to reveal that. Then think about the sticky notes, USB mice and barcode scanners that you buy to get work done. Suddenly you’ve got a lot of opportunities to make your business more efficient. Good asset tracking will help you find opportunities to reduce waste and save money. Finally, asset tracking can also prepare your small business for growth. A five person team can remember where the receipt printer is (“It’s in the back near the printer paper.”). Unfortunately when your business grows to 50 or 500 people, that sense of familiarity can disappear. Roles get more specialized and there’s just more equipment for everyone to keep track of. A central program or document to track purchases, quantities, and locations can be an essential tool to ease growth pains because people won’t have to remember as much — the records do the heavy lifting for you. What should I keep in my asset tracking records? When it comes to what you should track with regards to assets, the first easy answer is costs. Keeping a copy of the invoices for assets isn’t enough, you also want to be able to generate reports from them, so it’s better to have them in one place. 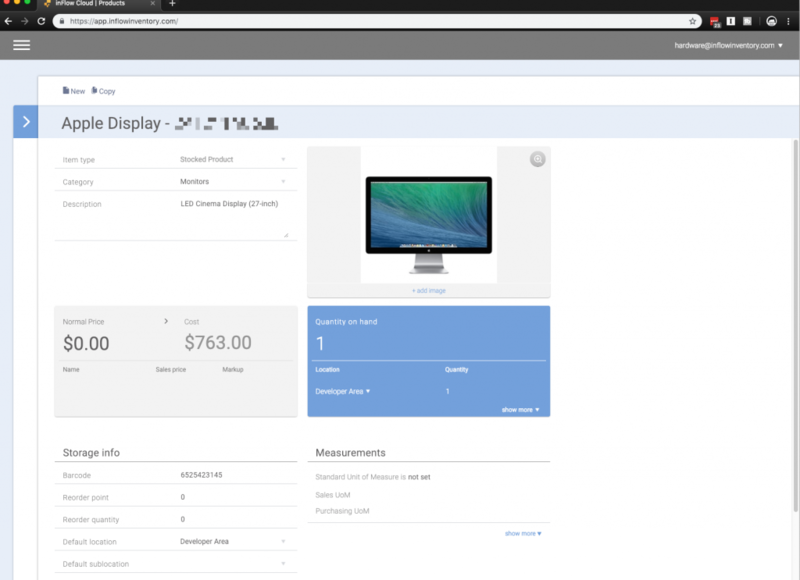 This makes it easier for you to analyze spending for certain types of items or with specific vendors. If you’re buying the same amount of paper as before but the prices are going up, it’s probably time for a different vendor. You’ll also want to track the specifications for most of your business assets. For more expensive tech items, this can be the hardware details of a computer, or the serial number of a tablet. These are high value items that you need to be able to find at any time, and good records also help you to move these resources around as your employee makeup changes over time. For lower value items, like the pens and sticky notes we mentioned earlier, the specifications could be size and weight. If you have records for exactly what you’ve purchased and where you’ve purchased it from, you’re making it easier to reorder smaller assets like office supplies (and it also means that anyone can do it). Finally, it’s helpful to have a general idea of whom the assets are assigned to, or where they are deployed in the office. Once again, this isn’t as big a deal for a five person team — but it’s crucial to running a business of tens or hundreds of people. You’ll want to be able to tell exactly which Surface Laptop that Chris H. is using, especially if three other people at the office are using that same model. If you’re using a spreadsheet or inventory management software to track assets, add a field for Assignee. It’s a good, simple way to track who is using what. Here at inFlow we specialize in inventory management software, but we don’t just make inFlow — we use it, too. 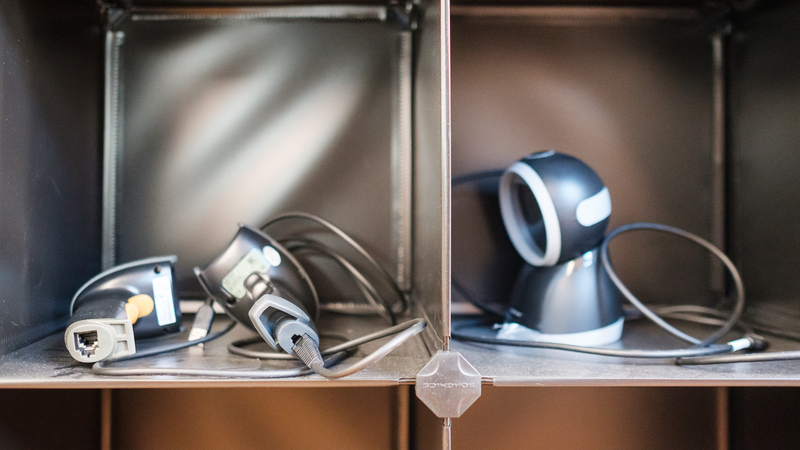 We’ve established an inFlow Cloud database to track high-value items like our laptops, tablets, and monitors, but we also use it for commodities like cables. We track asset costs by entering the values manually into the Cost field or by recording them on purchase orders within inFlow. This means that we can run reports to see the value of a particular category of assets like laptops or tablets, or all assets at once. Our own particular trick is to “sell” the products to the employees who are using them. This way we generate a movement history for each product (so we know who used a particular laptop in the past), and this also makes it easier to recall items because we can filter sales orders by customer. There’s also a great way to assign assets to Locations, too. We mentioned that asset tracking can prepare your business for growth, and we say this from personal experience. We’ve grown from a group of four people to a team of over 25. When you consider that each member has a work laptop and we have many test devices floating around — well, you can very quickly see how important asset tracking is to us. Having good records helps us make decisions about when to purchase newer equipment, or see what assets we might not be making use of. This is why we recommend your business start practising it as soon as possible! If you’d like any more tips on how inFlow can help, we’ve got a great support article on asset tracking. Or if you’d like to try inFlow Cloud out for yourself, we’d love for you to sign up below. Great article! We also use InFlow to keep track of our equipment and which job sites they go out on. Essentially, we have individual entries for each of our pieces, and just add them into our Sales Orders when the job is sent out. When they come back, they are simply entered as a Return and restocked with any other materials which come back. This allows us to keep track of our higher priced equipment and locate those items if they are left on various job sites, as well as vendor information in case we need to replace damaged items. Great work on inFlow, gang, and keep up the good work! Thanks for chiming in Jamie and sharing some of your workflow! We’re really glad to hear inFlow is working out well for you!